To secure and register your brand name it must be unique, not too similar to another registered name, and shouldn’t contain any restricted wording. To check, conduct a Business Entity Search through the Sec. of State, and if there are potential trademark issues conduct another quick search using the TESS System through the U.S. Patent Office. Keep in mind your brand name should contain the words ‘Corporation,’ ‘Company,’ ‘Incorporated,’ or ‘Limited.” Abbreviations for these words are also acceptable. If needed/available, you can file an Application for Reservation of Name to reserve for 60 days. 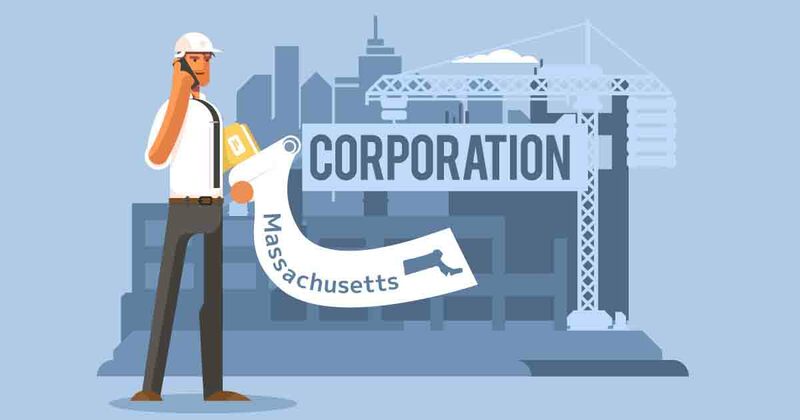 A Massachusetts Registered Agent is the person or organization that receives and helps process important documents (state filings, tax forms, legal notices, etc.) on behalf of your business. They must be a Massachusetts resident or registered business entity with the state and be available during all regular M-F office hours. You can hire an outside professional service and expect to pay up to $160/year, or get a Registered Agent free of charge when starting a corporation through Incfile or BizFilings. They handle this along with much more depending on your startup package. Filing fee: $275 for up to 275k shares. Additional $100 fee every additional 100k shares. Think of this as the hard copy record book where all critical corporate documents are kept like the Articles of Incorporation, Bylaws, meeting minutes, stock certificate ledger, stock certificates, stock certificate stubs, stock transfer documents, etc. They’re very common and while not necessary having one is highly recommended for all serious business entities. Your CFO, or you with your board need to seriously consider this step. It's not personal banking, so if you’re brand new to this then please do some homework and shop around. Look at different local, state, and national banks as well as credit unions. There’s plenty of great deals, perks, reduced fees, and kickbacks to be leveraged. The other big important factor is making sure to completely separate your brand’s financials from data streams and bank accounts of any kind. Here’s a quick breakdown article of Business Checking Accounts from some of the biggest banks to begin your research. Get a EIN, or Employer Identification Number, quickly for free through the IRS Website. Bookmark the Boston Small Business Administration Office and Mass.gov’s Business Services. Also, consider professional business license research services that take care of the legwork for you.